With the summer coming to an end soon, I caught the wanderlust bug and spent last week reading about packing for vacations as well as about places to visit for the noms. However, the voice in the back of my head still nagged me about the imminent fall semester when I have to return to full-fledged work mode, so I also looked through a few articles on work wear. At the same time, I'm moving into a new apartment in a couple of days, which means it's time to come up with a brand new game plan for tackling home cleaning, and I also get a clean slate to decorate on. 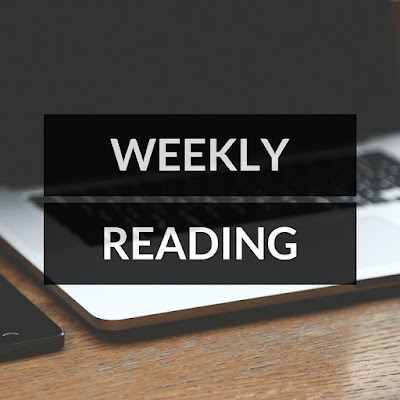 For beauty, lifestyle, and food posts, check out the previous Weekly Reading. Today is the last day that Warped is in the Midwest, which means that I have yet again missed the tour. 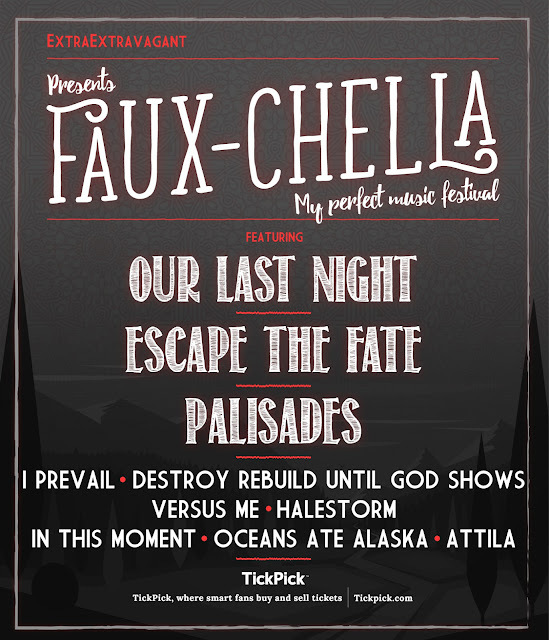 It's especially devastating this year because the lineup is amazing! Mayday Parade, Oceans Ate Alaska, and Tonight Alive are only a few of my favorite bands that are in Warped this year. As a coping mechanism, I threw together my dream festival lineup. At first, I was going to embed here videos of my favorite songs from these bands, but I figured that would slow down the load time of the page, so I'll just be linking to those videos. Conversely, you can play these songs from my Spotify playlist below. If you live in Utah, Colorado, New Mexico, Arizona, California, Nevada, Idaho, Washington, or Oregon, Warped is headed your way! You can buy your tickets from TickPick. TickPick is a website where you can find and buy concert tickets, NFL tickets, and even tickets to theater shows! There are no fees, and there's even a feature that lets you place bids on tickets, so if there's a ticket on sale that's too expensive, and you have a different price you'd definitely pay for, you can place a bid for the seller's consideration. Let me know if you're going to or if you went to Warped so that I can live vicariously through you! 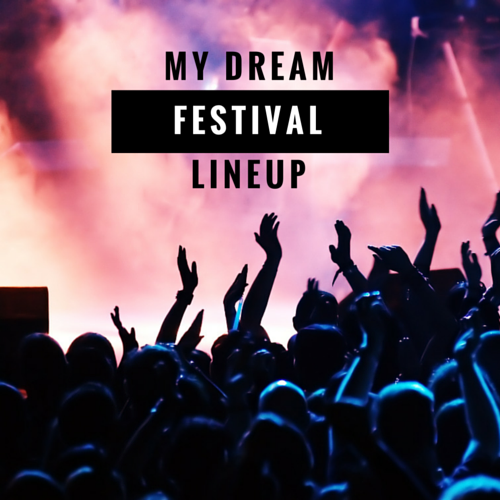 What is your dream festival lineup? 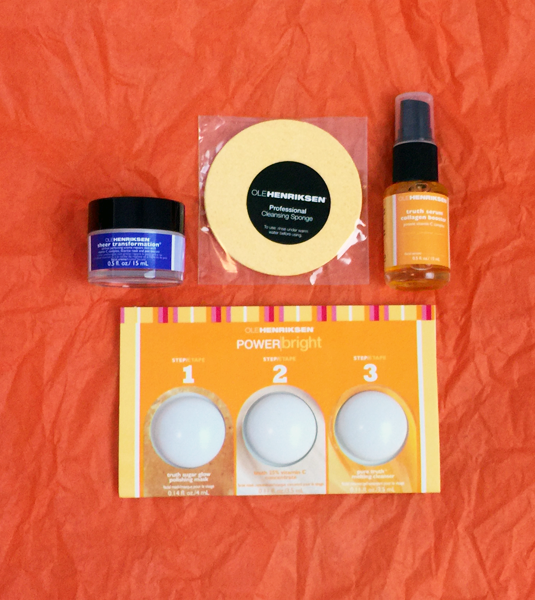 I will start with a description of the Power Bright, which is the three-step skin brightening system because there is more to cover. This is an exfoliating mask that feels like a lip scrub on your face, which is terrible for someone with sensitive skin like me. Needless to say, it felt harsh even though I tried to apply as little pressure as possible. However, it did make my skin brighter and tighter, and I think it even removed some of my blackheads and tightened my pores. It wasn't worth it for me, though, because some more sensitive areas were left red. 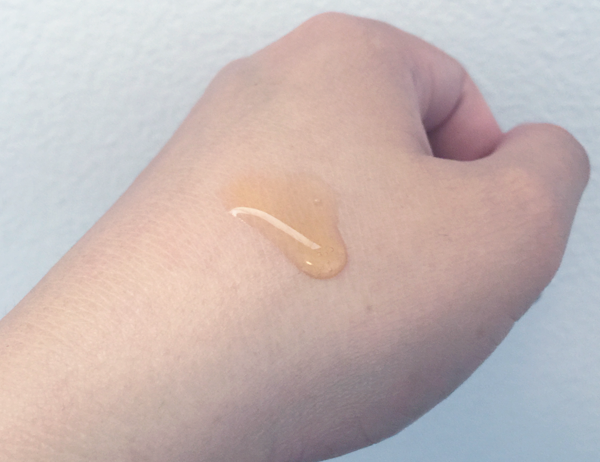 I was expecting this to have a liquidy, serumy consistency, but it was denser and had a creamy texture that almost feels powdery during application. It forms a matte film on your face and kind of soothed the irritated areas from Step 1. This product is very aptly named because it does "melt" when you apply it. You're supposed to apply this over the product from Step 2, and it turns everything into a lovely, light gel texture. The instructions said to expect tingling. Mine was clustered around the dry, irritated areas, which I'm not entirely sure is a good thing in my case. Afterwards, my skin did feel softer and firmer, so this system definitely works. The only caveat is skin irritation for people with sensitive skin, so that's something to consider. The complexion sponges that came in the Voxbox were to be used to remove the product after Step 3. They came in two dried, compressed wafers that you run under water before using. This was probably my favorite part of the whole thing because the sponges literally puffed up once they touched water. I wish I'd taken a video of it! They also dry hard, but they're not compressed anymore. 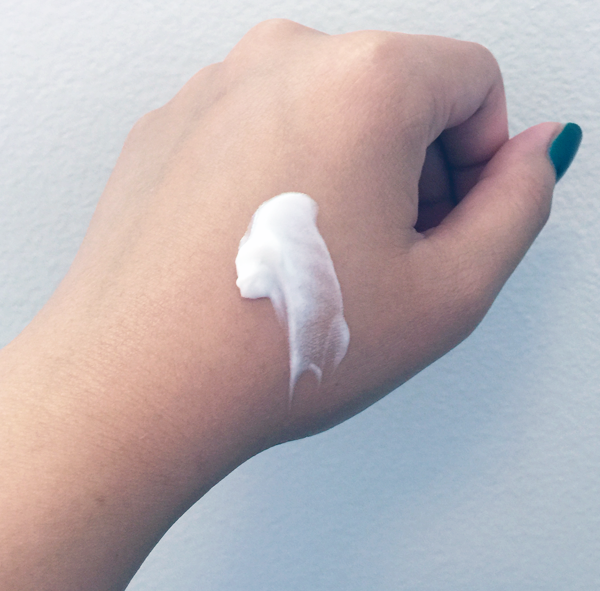 This is the Sheer Transformation moisturizer that's supposed to even skin tone. I've only used it a few times, so I'm not sure if it actually does the trick. It's also a creamier product but with a gel-like texture. This is the Truth Serum Vitamin C Collagen Booster, which is exactly as it sounds. It's a vitamin C concentrate serum that's supposed to boost collagen in your skin and in turn tighten it. I stopped using this after the first try because it's too harsh for my skin. It might be from the vitamin C, but I'm not sure. Overall, these products do do what they claim to do, and you can see instant results. The only thing to consider is that if you have dry or sensitive skin, this might not be for you. On the plus side, everything (except the Sheer Transformation) smells of citrus! What is your favorite skin brightening product? *I received these complimentary products for review consideration. I am slowly getting back into wearing lip color again, so last week, I read a couple of posts about lipstick. Also, I found some summer beauty hacks. I am a huge proponent of online shopping, so I dug up some helpful articles about online shopping. On a more serious note, I found a post about maintaining friendships. Last week, I found recipes for three of my favorite foods: guacamole, egg yolk buns, and southern food (I guess this is more of a cuisine). As the cherry (Food pun intended) on top, the third post features healthier versions of the most popular southern foods. For fashion, travel, and health posts, check out the previous Weekly Reading. Another month has come and gone, and we are now past the midpoint of 2016. Can you believe it? I actively try not to because that means that I have less and less time to finish writing up my current research. I'm also teaching a course in the fall that I've never taught before, so lesson plans need to be written up for that. Also, this stress reminds me that I still have an IRB application to finish, since I've started equating that with stress. I usually buy the Pond's Original Fresh Wet Cleansing Towelettes, but this Garnier one was on sale, so I decided to give it a try since I don't think Garnier has ever let me down. When I started coloring my hair in 2012, I started using the Tresemme Color Revitalize Shampoo and its corresponding conditioner because I had recently discovered Tresemme and loved it. I haven't ever stopped using that shampoo and conditioner because they work and they last me a good while, so I never saw a reason to switch brands. Four years is a long time, though, right? That's why I decided to break out of that routine and try this Pantene shampoo, which I've heard good things about. I bought the Jergens hand wash in May and was instantly hooked. It cleans well but still moisturizes your hands, and that signature cherry almond scent is delightful! You can never own too many mascara. That's all I have to say about this, lol. Do you remember the fail in my June Drugstore.com and Walmart haul when I accidentally bought the Nivea Creme, thinking it was night cream? Yeah, it's currently sitting on my office desk, being used as hand cream, so this month, I decided to continue the search and found this! My Influenster Ole Henriksen Voxbox came, and I'm trying those products out at the moment (Stay tuned for the unboxing post! ), so I've only tried this Palmer's night cream once since I bought it. The scent is not the best. It smells like how cocoa butter naturally smells, I'm guessing, so it's not necessarily a bad thing. It'll just take some time to get used to, especially after the Aveeno Absolutely Ageless Restorative Night Cream's heavenly smell. Anyway, this Palmer's night cream has a gel-like cream consistency that doesn't apply easily, but it feels great on the skin! 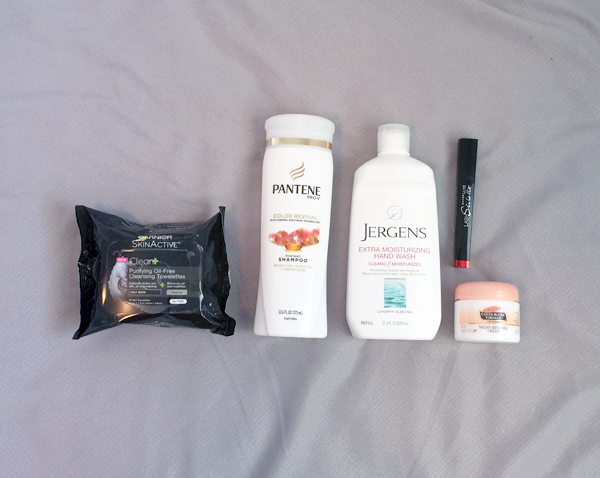 What is your go-to facial towelette, shampoo, hand wash, mascara, or night cream? Last week, I learned about the proper way to try on swimsuits, different ways to style yoga pants (Spoiler alert: you can wear them to work! ), and how the clothes we wear impact the environment. Here are some more reasons to travel, along with tips for first-time and seasoned flyers alike. Did you know that there is such a thing as headphone safety and that many common maladies can be attributed to dehydration? Although these are true, there are many health tips that are myths. For more fashion posts as well as blogging and food posts, check out the previous Weekly Reading.